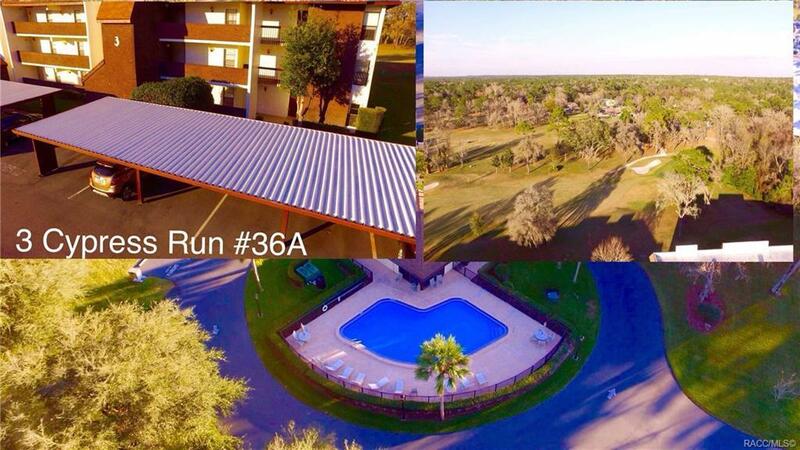 Open golf course views and easy 1st floor end unit...PERFECT! Totally maintenance free living, heated pool and clubhouse! Furnished or unfurnished!! 2 MASTER suites too!! Updated Dual pane Windows & glass Florida room open to fairway. Updated Kitchen. Updated AC. Updated Stove & Fridge. Directions: Main Entrance Cypress Blvd West To Third Left Cypress Run Condos. Selling Office: Key 1 Realty, Inc.